Latvia's Abava River flows through the Kurzeme region in the western part of the country. 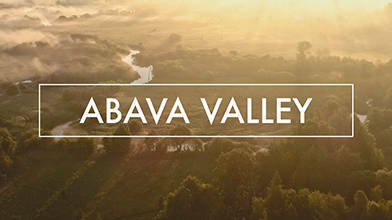 In this video, contributor Eaglewood Films gives us an aerial view of the Abava River Valley, which forms part of the route of the historical road from Riga to Prussia in Germany. Prepare to be amazed by the bird's eye view of this area which helped to cement historical ties between Latvia and Northern Germany, ties which helped propel Latvia's economic boom in the post Soviet era. Description: The Abava Valley is the valley of the Abava River in the historical Kurzeme region in Latvia also known as Switzerland of Kurzeme. The valley is the route of the historical road from Riga to Prussia and Northern Germany, and as such, it is rich in nature, historical and cultural monuments.